How to reduce mosquito and fly populations of outdoor businesses in New Jersey. All about how to protect your property from Carpenter Bees. A blog about a recently published article by Cowleys in CAINJ. Treating for bed bugs in affordable housing community takes a team effort for isolated elderly tenants. Pest-proof your home this winter. 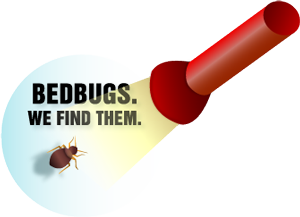 Learn how to avoid bed bugs while traveling this summer. Learn about the Zika virus in New Jersey and steps you can take to protect yourself. Learn about the unique aspects of Crawl Spaces in NJ. Wildlife look to enter residences in the fall, looking for a warm place to spend the winter. Cleanliness is critical to avoid pantry pests. Fall is the time of year when spiders can get into your home. How to keep overwintering pests such as Boxelder bugs and stink bugs from overwintering in your home. Learn all about the different kinds of stinging insects that can ruin your summer in New Jersey. It's All About Location. Outside, Bats are Wonderful. Summer can be fun, but be wary of partying pests.